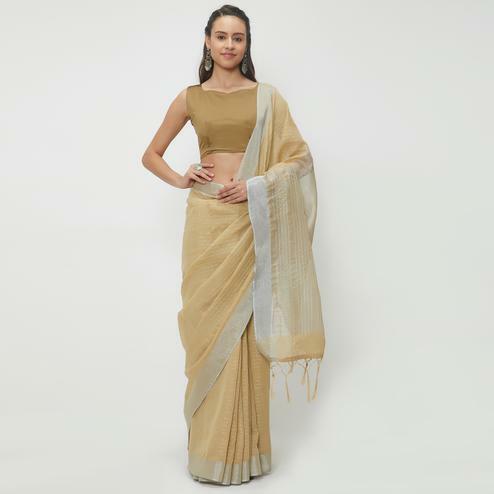 This cotton saree in beige color has got contrast color lace border and floral design zari weaving work at border as shown. 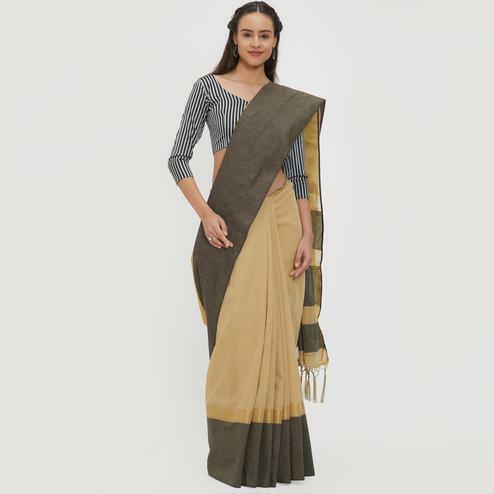 This saree is teamed with beige cotton silk fabric unstitched blouse piece. 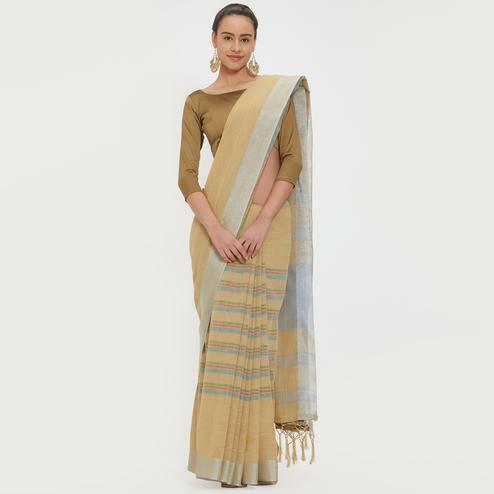 It's a perfect saree to buy social functions and events.